College students may seem to be well-equipped to learn in a wired world, but despite the enormous growth of tablets, e-readers and digital textbooks, they still prefer heavy, expensive print books. These were the results of a pilot program created to understand why students have been slow to adopt digital texts and what would have to change in order to make them the preference. The pilot was developed by the University of Wisconsin, Cornell, University of Minnesota, University of Virginia and Indiana University, which decided to jointly investigate how e-textbooks could be used on their campuses with an e-text pilot during the spring semester of 2012. What they found, produced in a report called Internet2 [PDF], was that, for purposes of study, at least, e-books were not quite there yet in terms of usability, visual presentation and navigation tools. The pilot program pointed out some glaring flaws in the e-reader model: Students reported problems with readability, complained of eyestrain, and said the e-books were not fully compatible with all mobile devices. They also noted that the navigation features meant to enhance learning like zoom, highlighting and annotation don’t function well. What's more, the functions that make e-books more attractive to students than print books weren't being fully maximized by faculty. Features like annotating texts, collaboration tools and the ability to share notes with other students weren't being used or modeled by the professors. And if educators used the e-books like a print textbook, that’s what students did as well. Faculty agreed that they did not often use the extra features available to them and wanted further training. But even for those who did use shared annotation features, some actually found it to be more distracting, especially when those annotations were from other students, not the professor. Students said the biggest reason they'd choose e-books is because they cost significantly less than a used or new textbook. 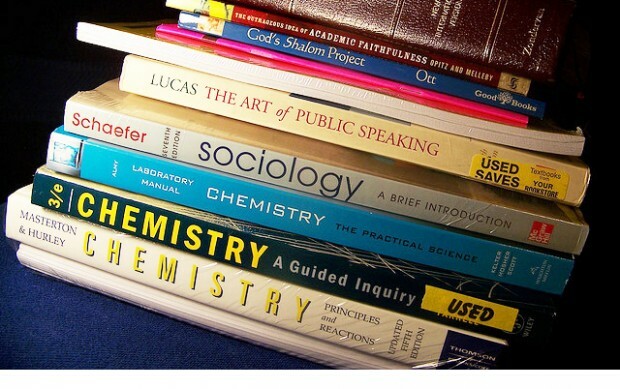 The College Board reports that the average student spends over a thousand dollars per school year on textbooks. Aside from money saving aspect, students also liked the portability and ease of accessing textbooks on a tablet, e-reader or computer instead of carting around heavy books. Students also said they’d be more likely to choose the e-book if it didn’t require access to the Internet, and if it was available to them for the duration of their college education, not just for the semester, which is how many e-books are offered. But there’s hope for the e-readers. Students whose teachers used the shared annotation and highlighting features reported that they got more out of the class. And those same students were more likely to annotate as well, resulting in better performance. The universities involved in the pilot are now discussing next steps – hoping to improve usage. One big thing they’re discussing is how to make e-readers widely available and not linked to one publisher or one platform. Two big lessons learned from the pilot were that students have high expectations for their texts, whether print or electronic; and that successfully using e-readers means not just learning to use the service, but also learning how to teach and learn from a new platform. A similar study last year, conducted by eBrary reported similar findings: In its 2011 Global Student E-Book Survey, students’ e-book usage has not increased significantly in the past three years.